Pickabook.co.uk ~ Books, Audio Books & EBooks ~ Online Bookshop. Welcome to pickabook your independent bookshop! We are an independent book supplier to schools and colleges serving libraries, finance offices, and individual departments. We supply any UK book in print and can process your books including plastic jackets, laminating and Accelerated Reader labelling. Education orders are invoiced and we offer a range of other benefits to our customers, please do get in touch for more information. 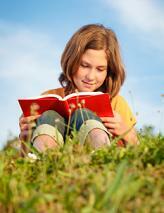 View the Accelerated Reader reading list by Book Level and Interest Level.